Continuing a series on choosing a mechanic in the greater Fort Worth area, it’s important to know the certification of your mechanic. 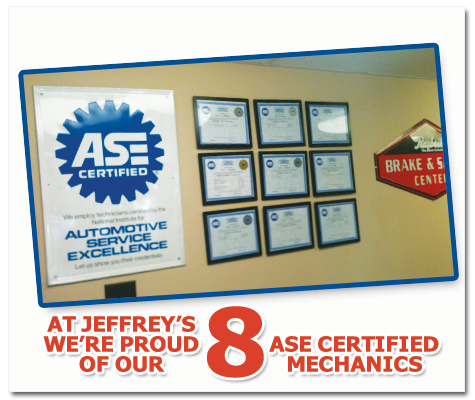 At Jeffrey’s Automotive, we employ not just 1 “mechanic on duty” but 8 ASE Certified Mechanics! This means fast service and mechanics who understand engine or transmission repairs, brake system repairs, alignments, custom exhaust, A/C and heater issues and so much more. “For today’s car owner, auto repair is more complicated than ever. Vehicles keep getting more complex, while technology and diagnostic tools constantly change as well. As a result, finding a competent, knowledgeable automotive professional can be a real challenge. Fortunately, more than 350,000 professionals across the country choose to show their knowledge by earning ASE Blue Seal Certification — a benefit to their customers as well as themselves. 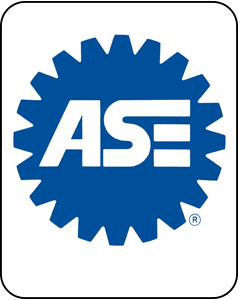 ASE is an independent, non-profit organization, and since 1972 we’ve worked to improve the quality of vehicle repair and service by testing and certifying repair and service professionals. Thanks to ASE certification program, everybody wins: car-owners can easily find ASE-Certified Technicians who have proven themselves to be knowledgeable professionals. Repair shops can get additional visibility in their markets by qualifying for the Blue Seal of Excellence Recognition program. And certified auto professionals can get the respect and recognition they’ve worked so hard to earn. 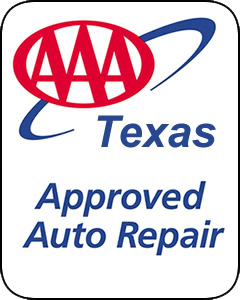 ASE Certified Technicians are trained to do the very best work on your vehicle. At Jeffrey’s, we recognize the rigorous standards of the automotive industry and we value the ASE certification so our customers receive the very best quality automotive repair. Below is a picture where you can see we proudly display the certificates of our 8 ASE Certified Mechanics! 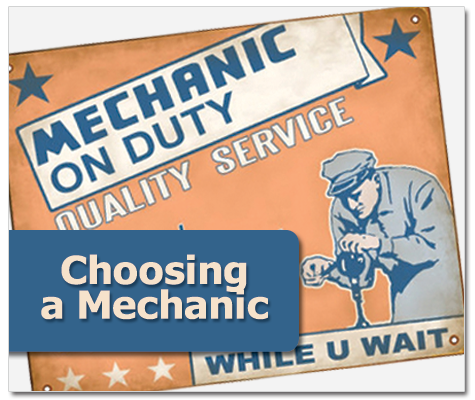 Click here for other tips in choosing a mechanic.